FAQ – S&G Family Dentistry, P.A. You have dental questions, and S&G Family Dentistry has the answers. Look through some of the most common questions we get below. Your answer may only be a click away. Q: What dental service is best for my cracked tooth? Q: Are dental implants better than dentures? Q: Does S&G accept dental insurance? Q: What dental services are available at S&G Family Dentistry? Q: What toothbrush should I use to clean my teeth? Depending on the severity of the crack, you typically are left with two effective options. You can elect for a dental veneer if the crack is not too severe. A dental crown is recommended for more severe cracks in teeth as it covers the entire visible tooth, not just the front surface. Dental implants are not better or worse than dentures. They are different. Dental implants are replacement tooth roots, and dentures are replacement teeth mounted on a polymer base. Dental implants, however, prevent jawbone deterioration that occurs after losing teeth, and they can never come out of your mouth like dentures sometimes do. We can provide the best of both worlds by using dental implants and dentures together to replace a whole arch of missing teeth. S&G Family Dentistry wants to make sure you are able to get the care you need. We work with many of the top dental insurance providers in the industry. If you are curious to find out if we work with your provider, call our office at 913-945-1612. You can schedule your appointment after you find out the answer to your question. Our online form is another way for you to ask your question, leave a comment, or schedule your appointment. General Dentistry – We offer general preventive care that includes dental exams, dental cleanings, custom athletic mouthguards, and gum disease treatment. All of our general dentistry offerings are aimed at helping you get and keep a healthy smile. Cosmetic Dentistry – S&G Family Dentistry has cosmetic offerings such as dental veneers, teeth whitening, and orthodontics to help you have a great looking smile. Don’t ever feel like you have to hide your smile again. 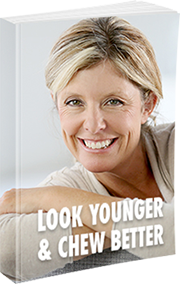 Trust S&G Family Dentistry to help you look your best. Restorative Dentistry – You can’t have a great looking smile until you have a great functioning smile. Restorative dentistry from S&G Family Dentistry will help restore the function to damaged teeth, repair damage that is already done, and replace teeth that cannot be saved. Dr. Schopper and all of our team recommend an electric toothbrush like those from Oral-B or Sonicare. These types of toothbrushes can do a better job removing more plaque and tartar from your mouth than a normal toothbrush does.